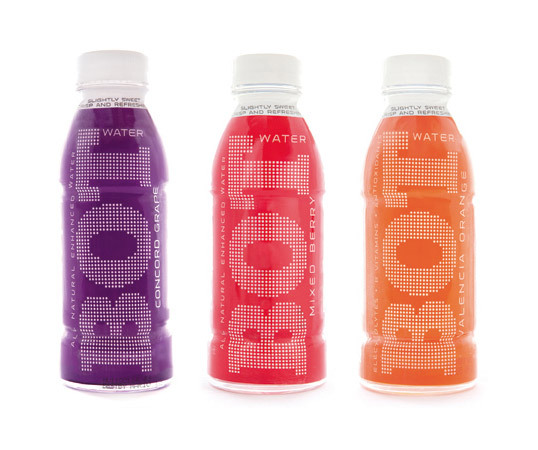 “New packaging for enhanced water Bot marks the brand’s relaunch as an adult-targeted beverage. The new look is by advertising/design agency TDA. The new brand identity is characterized by a prominent, white dot pattern, intended to appear modern, friendly and light. Super-primary color blocking (green, orange, blue, red, yellow, purple) across the different flavors aims to create a strong shelf presence. 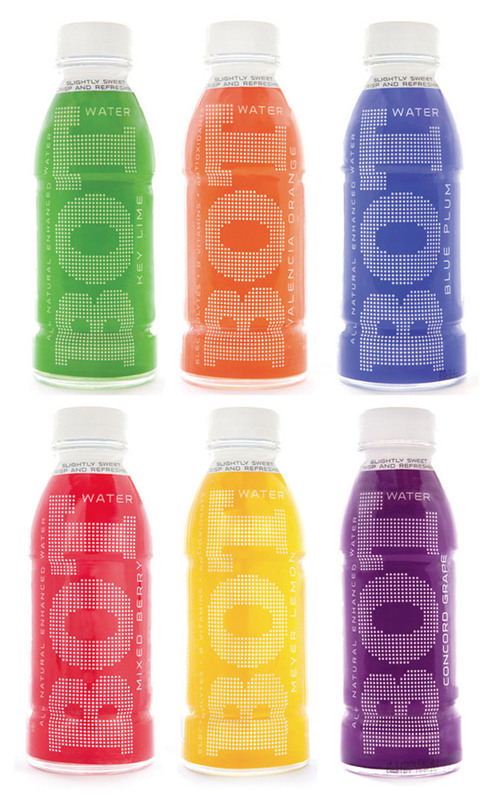 In their previous design format, the bottles shared a common white background, with different colored type and different kids’ characters for the different flavors. These really catch my eye. Disco! What are your opinions on blocking the consumer from seeing the liquid inside?